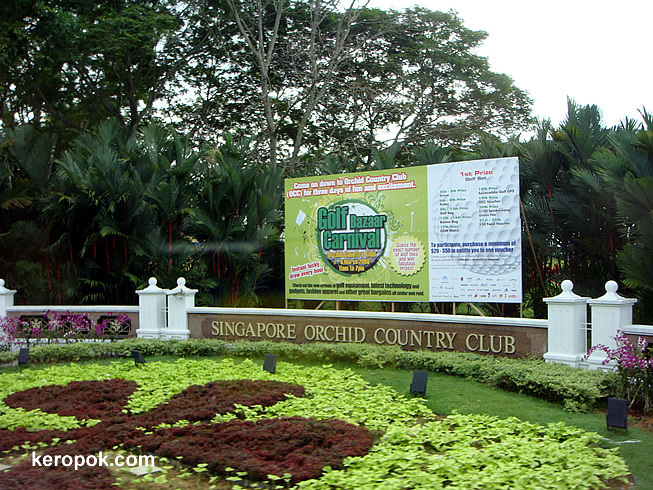 Today, most of our colleague were all off work, and we attended a team building session at Orchid Country Club. Well, the session was good! We got to know some people we only known as 'identities' over email! This happens when other colleagues work a 10 mins bus ride away. 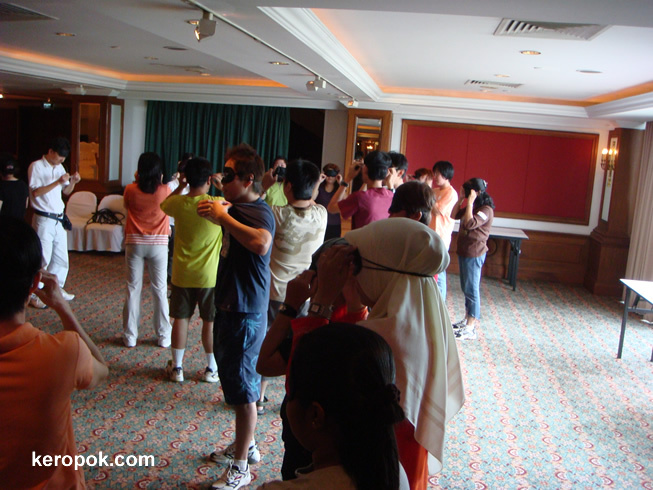 Here's a photo I took while I was blindfolded! haha.. I knew my camera was in my pocket, so I took it out, turn it on and randomly took shots all around. That is too funny Keropok Man. I love it that you did that. And yes, I do know only "phone" and "email" colleagues. It's always nice to finally meet in person.